Fastvue TMG Reporter is unique in that it allows you to monitor internet usage in real-time. 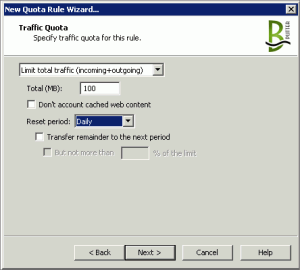 Another great feature is that it allows you to generate longer term internet usage reports. 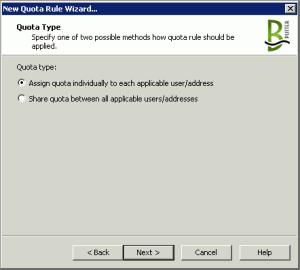 This allows you to visually identify and isolate not only user behaviour but also system behavior. A good example of this system behavior is your WSUS server retrieving updates and patches. These updates are important but you would not want them to impact users internet speed during office hours. You may also occasionally have the requirement to limit certain user’s internet speed so that their online behavior doesn’t impact others. 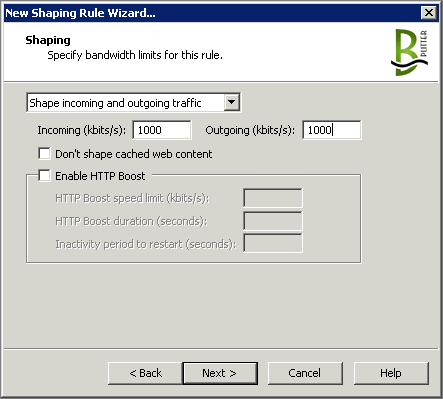 Below is a user report showing the bandwidth peak usage. Forefront TMG allows you to create scheduled rules that grant or deny access to a system or user. The problem is that this is a binary ‘off or on’ option. It also has a limitation in that it will not close any active sessions. For example, a large download will not be stopped once the schedule becomes active. Bandwidth Splitter is a very good and cost effective tool for implementing more flexible bandwidth control in Forefront TMG. It is also very capable and supports arrays. One really nice feature is that allows you to not only limit the user’s available bandwidth but you can also set usage caps. What makes it even better is that you can specify a soft cap after which the bandwidth is further throttled or shaped. Bandwidth Splitter has the ability to do this for authenticated users based on their AD username, as well as for IPs. Check the Bandwidth Splitter site for more information. This first rule will limit the maximum bandwidth available for each user in your ‘Internal’ network. 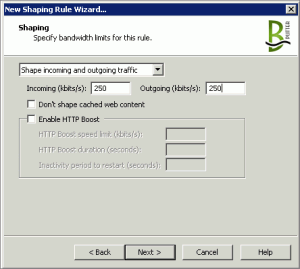 We now need to create another rule to limit the maximum bandwidth available once the usage cap is reached. To apply these changes to Forefront TMG you need to click the green check button in the toolbar. 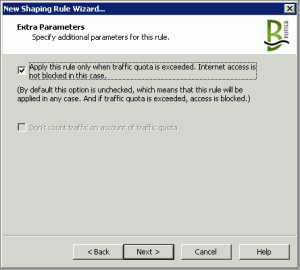 The following rule will set the limit for “high bandwidth” usage. After this amount of data has been used the “lower bandwidth” limit is enforced. Apply the rule to the Forefront TMG configuration with the green check button in the toolbar. Run a benchmark test before you consume any of your cap data. This would give you an indication of what your maximum throughput is. 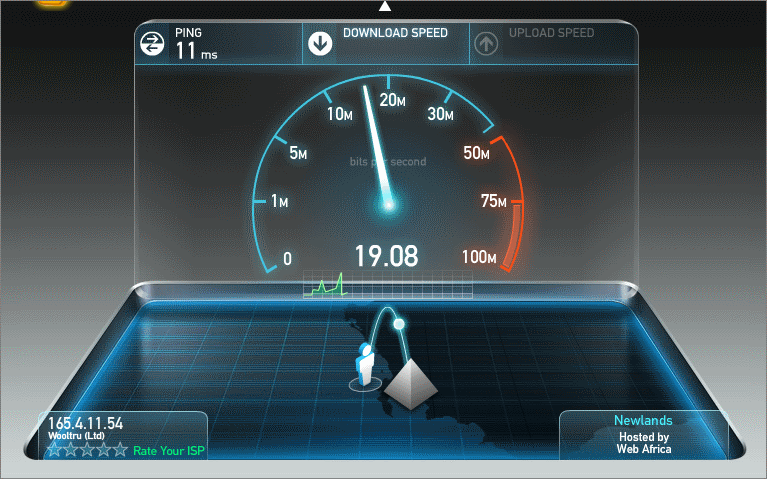 Once things start to slow down, run the speed test again. 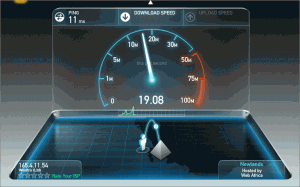 You should now see the data rate being pegged to your low limit. That’s all there is to it. This is a basic example for some common use cases, and should hopefully give you a good indication to the bandwidth management potential using Bandwidth Splitter. i installed bandwidth splitter recently and i have some problem with its monitoring. in front of some user there isn’t anything. i mean it doesn’t show the quota rule and so it doesn’t count down . i have licence and i have defined all user in B.s. independently of Isa. Thanks for the question. I have forwarded it to Bandwidth Splitter’s support address, and hopefully they will add a comment in here or reply to you directly. 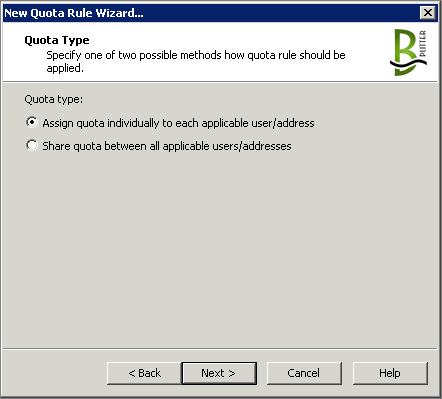 This may be caused by incorrect configuration of shaping and quota rules. 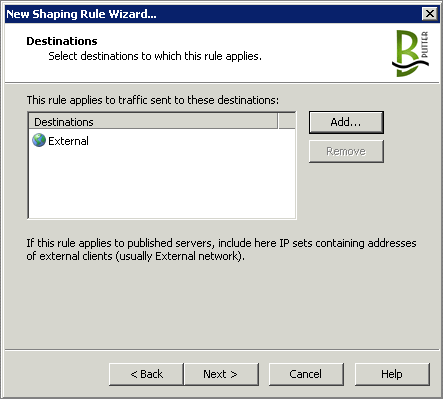 Monitoring only shows connections for which shaping or quota rule is found and these clients have licenses (see License tab in the BSplitter properties). 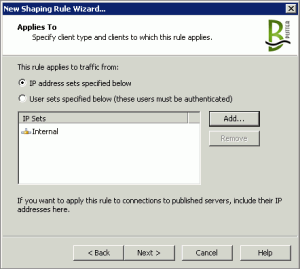 To make work Bandwidth Splitter rules that have users or user groups (not IP address sets) in the Applies To field, those users should be authenticated. 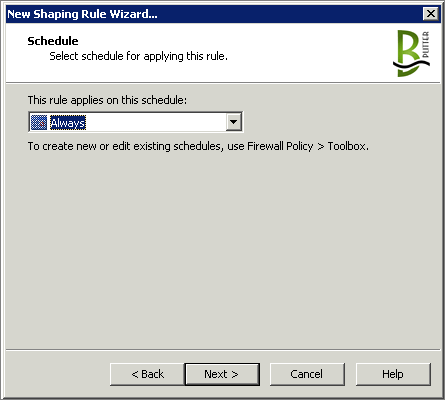 For this purpose they should be allowed in generic Firewall Policy Rules as authenticated users, that is at Users tab you should specify something other than All Users, for example All Authenticated Users. 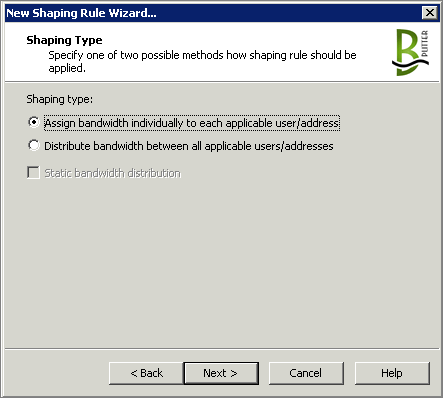 For MAC users you need to create shaping rule based on the IP. Am going to start small isp and I want to buy full version for mantaining minimum 100 connections with different speeds. Can anyone have an idea to configure bandwidth splitter with single network adapter topology of tmg 2010? If anyone have a solution, please help me.